Negotiation is a major part of a human’s everyday life. From a business deal to settle a political dispute between two countries, negotiation is the most effective tool to solve the problems. The effective negotiation is a science which keeps changing with time as the thinking of the human evolves over the time. Effective negotiation is a hectic and interesting task at the same time and needs proper planning and strategy to be successful without losing your core interests. 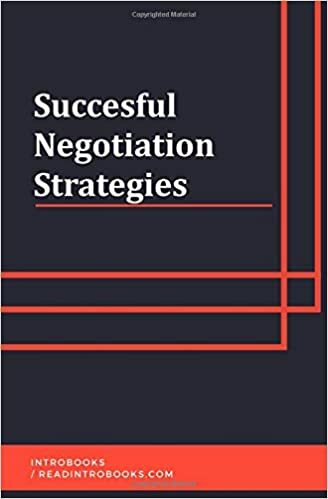 To be a successful negotiator one needs to follow the helpful strategies that can provide him an upper hand in clinching a best possible deal in any given scenario. These strategies range from an effective bargaining to doing proper homework before negotiation, and to find a win-win solution for both of the negotiating parties.